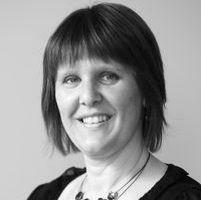 Pauline Brodie has over 30 years’ legal experience. She is a legal executive and is the team leader in the Edinburgh litigation department with responsibility for the day to day running of the team. She provides extensive advice to clients on avenues of recovery of rent arrears and other housing management debts with reference to the different types of diligence, including arrestment, earnings arrestment and sequestration proceedings. Managing all aspects of the court procedures, Pauline liaises with courts and sheriff officers in relation to the raising of actions and subsequent service of papers and enforcement of court orders. She is responsible for obtaining client instructions in relation to the above matters. Pauline assists our solicitors in all Court of Session disputes, including housing management and non-housing management proceedings such as petitions for suspension and interdict and reduction of Sheriff Court Decrees.